I have enjoyed planning the Safe & Sound Dinners and in an attempt to keep my favorite allergenistas happy and full, we are adjusting the format for this next dinner on Tuesday, August 24th. 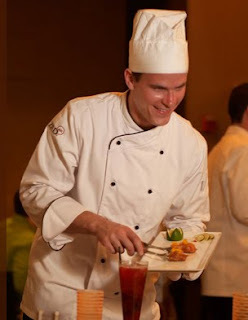 ZED 451 is a Brazilian Steakhouse with American Flair and with that style of restaurant, you get an amazing salad bar. Although, all of my recipes are FREE of the Big Bad 8 Allergens and Gluten, I understand that not everyone is allergic to all of them. I totally remember what it was like to enjoy cheeses and butter and feel you should get the full experience at ZED 451 if you can, some of their signature dishes just wouldn’t be the same without adding certain allergens. With that in mind, ZED 451 has developed the most amazing menu, some items will contain various allergens, all items will be segregated to maintain the most Safe & Sound experience for all with no cross contamination. 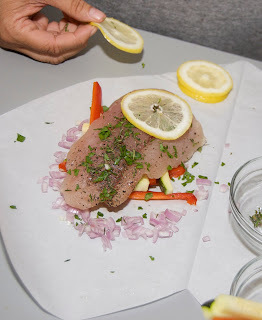 With multiple non-red meat eaters coming to the dinner, there have been requests for more protein options, so we will be including a few fish dishes. - Roast Corn and Brandy Bacon. 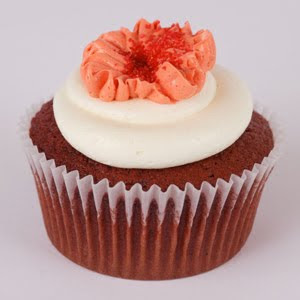 All of this, not to mention Swirlz Cupcakes for desert! From the 70 recipes for delectable sweets, I made the Fruity Frozen Pie. Since I cannot eat gluten, I had to substitute the graham cracker crust with a crust I made using Enjoy Life Snickerdoodle Cookies. 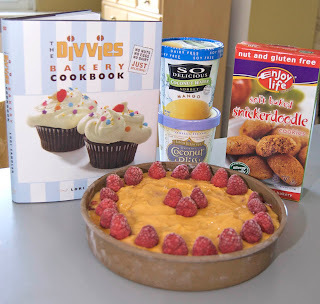 (This recipe was easily modified to be FREE of the Big Bad 8 allergens and gluten, there are other recipes that are naturally gluten free as well.) I really liked this recipe, it was easy to put together and a lovely treat during the sweltering heat Chicago has faced this July. The non-dairy ice cream used was Luna and Larry’s Coconut Bliss Vanilla Island and the Sorbet is So Delicious Mango Sorbet. Thaw ice cream, raspberries and sorbet at room temperature for 20 minutes until softened. Place Snickerdoodle Cookies in blender and mix until you have even sized crumbs, press evenly into bottom of pan. Take frozen raspberries and mix with sugar, set aside. Top with layer of dairy free ice cream and freeze for 20 minutes. 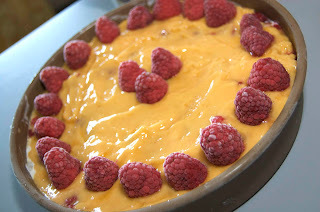 Top with frozen raspberries and apply sorbet on top in even layer. Place fresh raspberries on top of sorbet (open side down) around the perimeter of the pie top. Freeze pie for 2 hours. Slice and serve immediately, Divvies recommends using a warm knife. Just because I couldn’t enjoy the cake didn’t mean I wanted to skip on dessert, so I decided to make a strawberry topping I could enjoy sans cake. As I went to the grocery store to get some fresh strawberries I had to issue a warning not to touch the cake until I got back. A good sign! Well, the results were positive; the cake was fluffy in texture and rose in the pan just like a gluten filled cake would. I cut the cake thru the center, added the strawberry mixture in the middle of the cake and also drizzled some on top. They really loved this cake, in fact when I got back from teaching today, I found only a small piece left, so I guess this cake would also be good for nibbling, I opened the bag to see how it retained its moisture and it still felt fresh and soft. Alivia described this cake as just sweet enough and that she never would have known it was gluten free. Thanks Betty, now please make a dairy free, egg free version so we can all enjoy, I can’t wait! 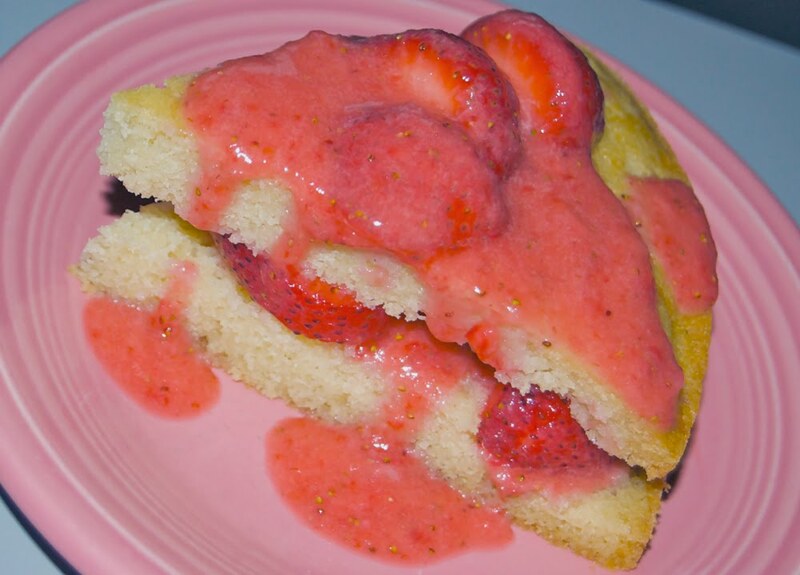 Make this strawberry topping at home, it’s great on your favorite cakes or just plain. Mix strawberries and sugar together, let sit for 20 minutes. Squeeze in lemon and orange juice and add zest, mix thoroughly. Take ¼ of strawberry mixture and place in blender until liquid. Add back to strawberries, mix and serve on your favorite cake. All of my recipes are FREE of the Big Bad 8 Allergens and Gluten, but I keep getting requests for fish dishes. So for my allergenistas that can eat fish, this one is for you. It’s healthy, delicious and easy to make. Enjoy! 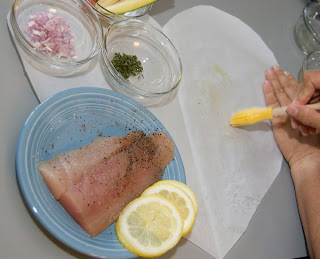 This recipe is for one serving, this technique also works well with sea bass and salmon. 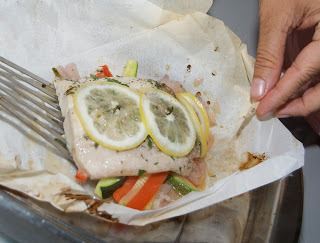 Take a large piece of parchment paper and fold in ½. Cut the shape of a heart from the paper and lay flat. On right half of paper brush olive oil in center. Season fillet on both sides with Kosher salt, set aside. Take zucchini and red pepper and criss-cross over where you brushed olive oil. Sprinkle shallots around zucchini and red pepper. 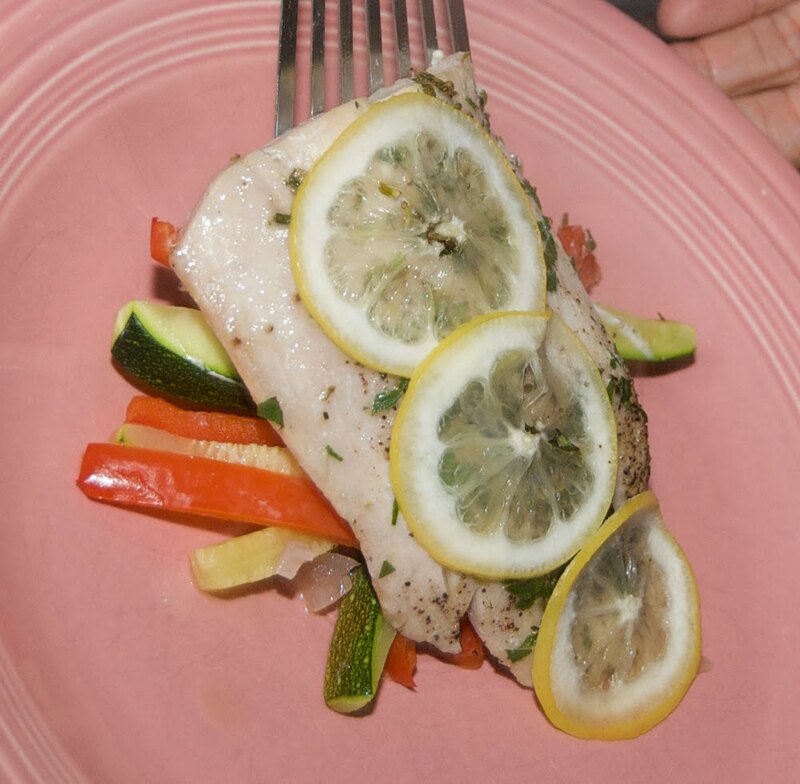 Place fish on top of zucchini and red pepper stack. Sprinkle thyme and parsley over fish and top with lemon slices. Splash white wine over lemon slices and fish. Fold left side of paper over to meet other side of heart shape. 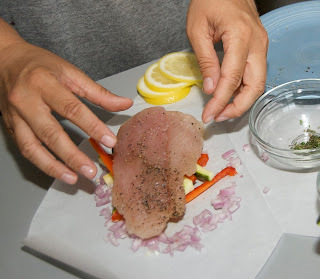 Starting at the point of the heart, fold the paper over to make a lip, continue folding all the way around until the tilapia is fully enclosed. Place fish packet in roasting pan and heat in oven until paper puffs up and gets browned around edges. In restaurants, they normally serve this dish in the parchment paper so the guest can open tableside. This fish pairs well with rice or quinoa. Oh, Sandwich, How Could I Ever Stay Mad At You? One thing I really missed about not being able to eat bread was the almighty sandwich. Picking up a sandwich piled high with your favorite toppings (especially in the summer when farmer’s markets are overflowing with the season’s best fruits and vegetables) is one of my favorite lunches. I had some red peppers, avocado, onions and a package of Katz Gluten Free Challah Rolls, these amazing rolls are so soft and lovely. The wheels started spinning… about 10 years ago, I owned a Minuteman Press franchise; you know a little mom and pop printing shop. One of my customers was a sandwich shop called Pacifico-to-Go, they had the most amazing sandwich with similar ingredients. 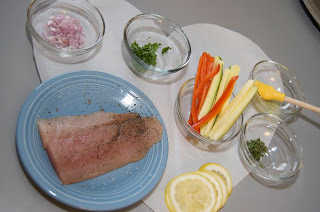 I couldn’t remember the sauce they used on the sandwich, I am guessing an aioli of some kind, so I decided to play a little and make an allergen free alternative, hope you enjoy the results…. Preheat medium saute pan on medium for one minute. While pan is heating, season chicken breast with Kosher salt and ground black pepper on both sides. Add onion to pan and cook until onions are translucent in color. Add chicken and cook 4-5 minutes on first side. You want the chicken to be cooked 2/3rds thru on the bottom side before flipping, this helps retain the moisture. Flip chicken and cook for another 4 minutes. Remove from pan and reserve. Add white wine vinegar and reduce for 1 minute. Add agave nectar and chicken stock, reduce until the sauce holds it shape when you run your finger thru it on a spoon. This is called nappe. 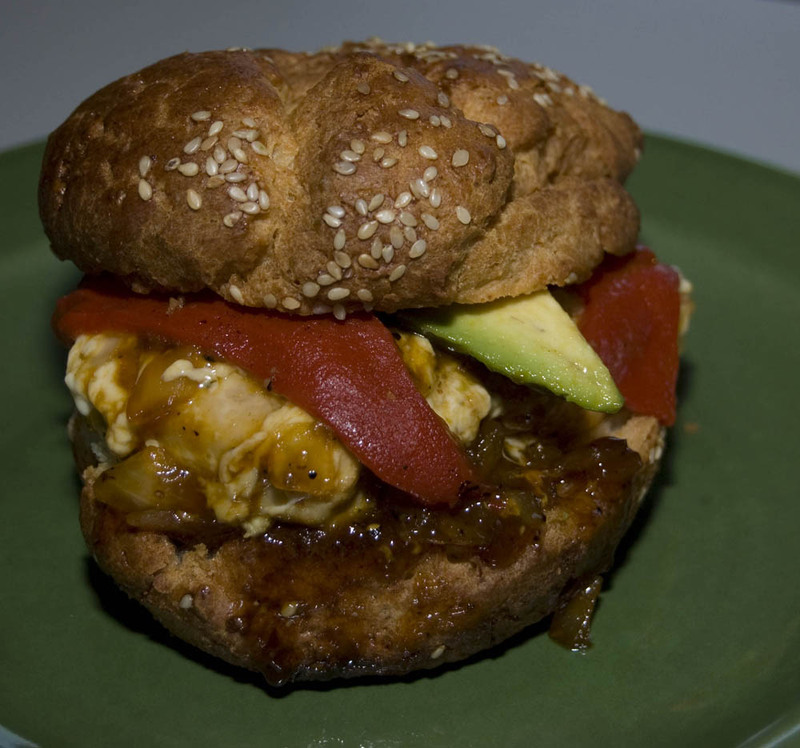 Place chicken breast on bun, top with roasted red pepper and avocado and drizzle sauce over sandwich. 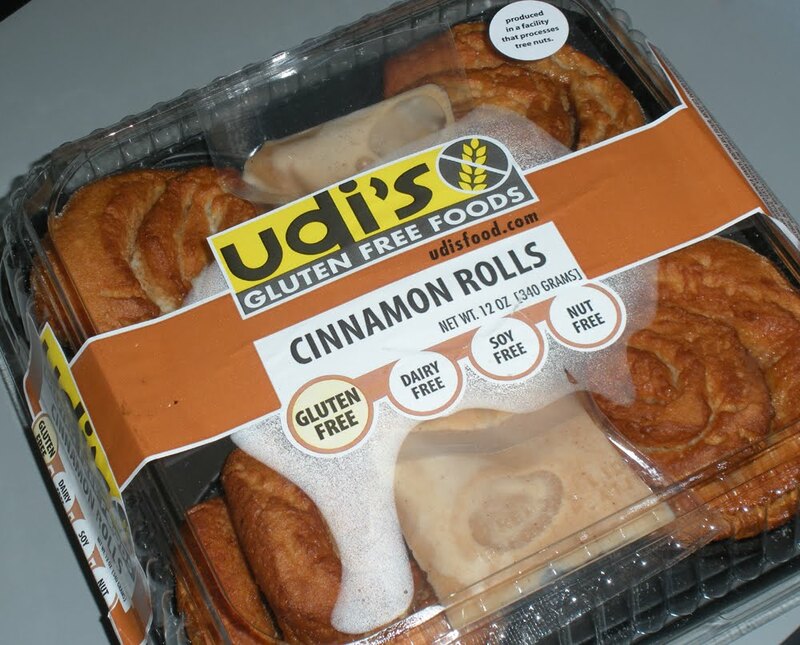 I love what the folks at Udi’s have been making for us allergenistas. At the Bread Round-Up at the Free From Market I picked Udi’s as my favorite bread in this blind taste test. I also am a huge fan of the bagels from Udi’s. 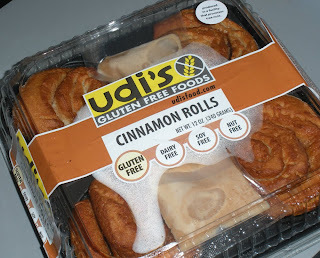 Well, I picked up a 4 pack of Udi’s cinnamon rolls at The Whole Foods Market on Kingsbury in Chicago (this store has a huge display of most of Udi’s gluten free products) and am really glad I did. The consistency of these cinnamon rolls is great considering there is no wheat or dairy in this product. They flake as much as I can imagine possible without layering butter into the dough, like you would on an allergen filled option. It even comes with a package of frosting to top your breakfast treat. I am constantly amazed at the strides being made in allergen free baked goods. The one thing I would change about this lovely product is to increase the amount of cinnamon/sugar mixture used. 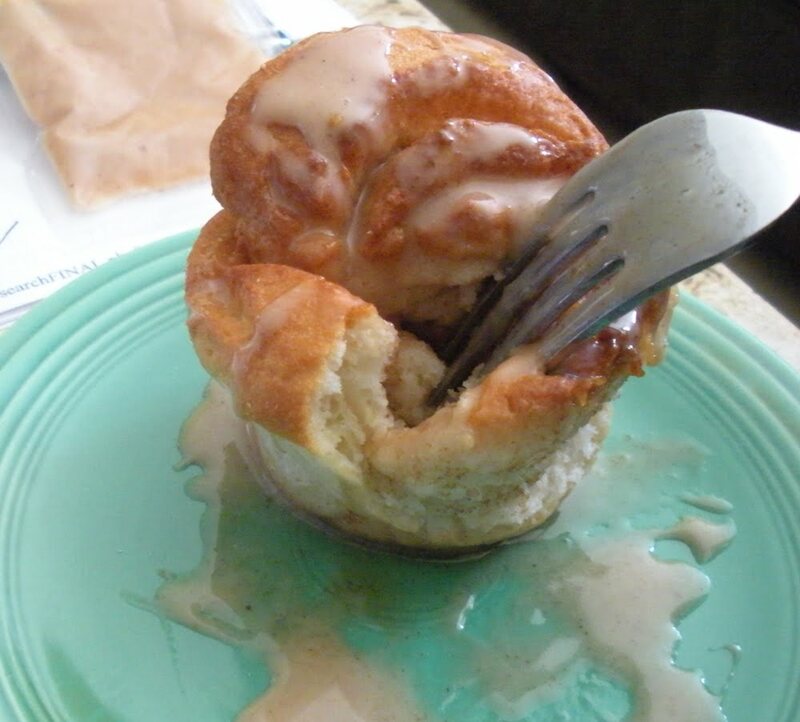 Overall, a great breakfast pastry for brunch when family is in … or a nice treat when you have a sweet tooth. My sister Alivia is a vegetarian and since she has been staying with me, I have been skipping meat instead of making two completely different meals. Lately I have had a craving for some beef. 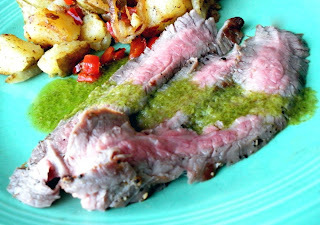 So, I invited my carnivorous brother over for some tasty flank steak topped with a Chimichurri sauce. Chimichurri sauce reigns from Argentina or Uruguay and is a wonderful complement to the richness of the steak. It’s always fun to have Jeff over, he loves food as much as I do, and when he eats three plates full; I just know it’s a winner. For fussy kids that won’t eat the sauce, cut the meat in thin strips for tasty tacos. Mix all solid ingredients with vinegar in a blender and blend until smooth. Slowly drizzle in oil while continuing to blend. Add salt to taste. If dressing is too thick, add a small ice cube to thin the sauce. Set aside. Lightly sprinkle steak with Kosher salt, ground black pepper and garlic powder, rub into meat. Take a paper towel coated in oil and brush along grate of grill and heat another minute to season the grill so your meat won’t stick. Place steak on grill and cook on first side a total of 4 minutes, after the first 2 minutes, rotate the steak on the first side 45 degrees to make cross-hatched grill marks. Flip the steak and cook on second side another 4 minutes. Let steak rest 7 minutes before cutting. This keeps the steak juicy and moist, cutting any sooner will release the liquid in your steak onto the cutting board, leaving you with a tough cut of meat. Make sure to cut the steak against the grain in thin strips on a bias. 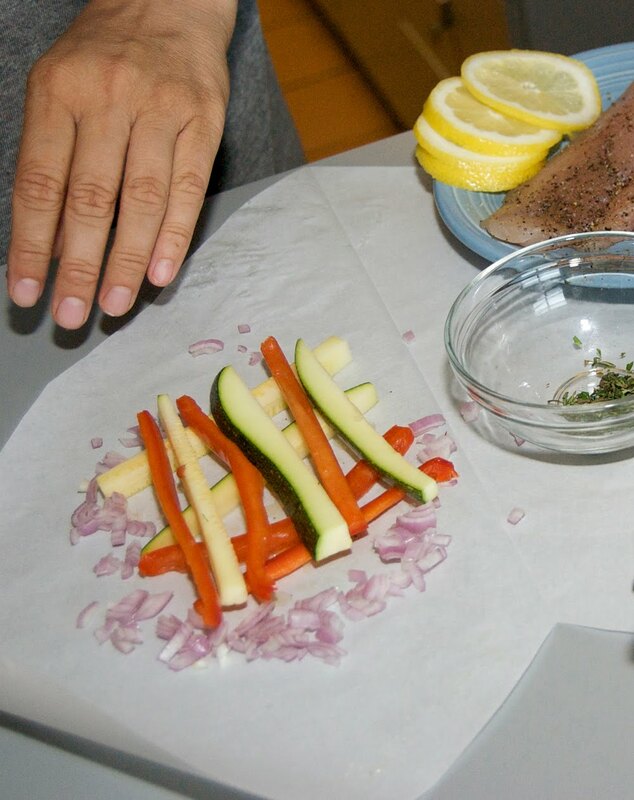 Cutting this way will also help in keeping the meat tender, if you cut with the grain, the meat will be chewy and tougher. Top with Chimichurri Dressing and enjoy!